A great third album from Staten Island instrumental funk titans The Budos Band – who've brought eclectic inspiration all along and have always colored from a much broader palette of styles than most of their peers – going even further this time out and delivering their best yet! The Daptone House Of Soul blueprint is a big part of the recipe, as it should be. Classic funky soul grit holds it all together and each cut has an unshakable groove, but with that in full effect, the group is free to explore. The Budos horns are as impeccable and communicative as ever, with brass that ranges from classic stateside funk and Afro influences. 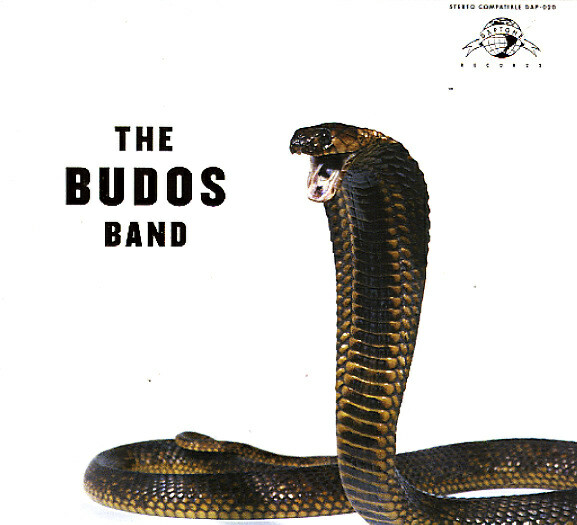 The percussion (bongos, clave, cowbell and more) is just as broadly thought out and tightly delivered, snakey bass lines, flute and the sometimes secret weapon on Budos Band III, the electric organ – which brings a bit of a garage psych/funk rock vibe. Truly exceptional work from the one of the best bands of their generation! Includes "Rite Of The Ancients", "Black Venom", "River Serpentine", "Unbroken, Unshaven", "Nature's Wrath", "Golden Dune's", "Budo's Dirge", "Raja Haje", "Crimson Skies", "Mark Of The Unnamed" and "Reppirt Yad" (a funked up Lennon/McCartney cover...read it backwards, kids). © 1996-2019, Dusty Groove, Inc.